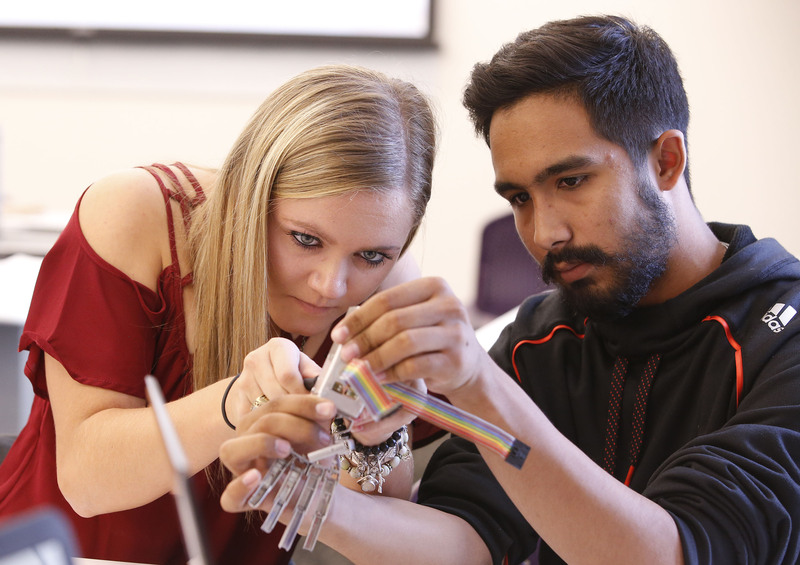 Grand Canyon University engineering students this fall will experience a profusion of changes, ranging from the classes they take to where — and how — they take them. In just the second year that GCU has offered degrees in biomedical, mechanical and electrical engineering, the program has expanded so quickly that the number of mechanical engineering enrollees has more than doubled and the biomedical and electrical engineering students has surged by about 25 percent. 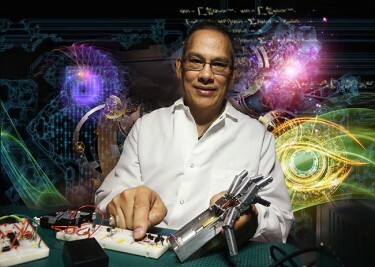 circuitry and engineering principles and introduces the impact of science on humanity. Ten new faculty members were hired over the summer to offer a curriculum that stresses a hands-on learning style versus a traditional lecture format. But perhaps the most obvious change is the most enormous: the new 170,000-square-foot College of Science, Engineering and Technology building — still under construction — that is expected to be fully operational by January. The growth of GCU’s engineering program is a pivotal part of the University’s plan to continue boosting economic growth by attracting Arizona businesses that hire employees highly trained in science, technology, engineering and math (STEM). GCU President Brian Mueller said at last week’s all-employee meeting that he expects that in the coming years, 70 percent of the University’s students will graduate with STEM degrees. “We are going to educate the best engineers in the world,” Mueller said. All of GCU’s STEM programs — biology, chemistry, exercise science, information technology and computer science — are expanding, but the engineering programs will occupy the larger wing of the new building. The 83,000-square-foot, east-west wing of the structure will be engineering central, with all four floors dedicated to classroom instruction, labs and shops that offer welding, lathes, presses, paint, sheet metal working and more. Students experimenting in an engineering lab. Also under construction are new courses with an innovative curriculum, said Dr. Michael Sheller, the CSET associate dean. Sheller was speaking last week in an office stacked high with moving boxes. He and other CSET faculty are moving into the north-south wing of the new building this week. That wing of the building is expected to be open before school starts. At the core of the new learning style Sheller is developing is immediate application of information. Many engineering classes consist largely of professors talking with time set aside for lab experiments. That will change with the new curriculum. During the first five minutes of a class, a professor will introduce a concept, principle or fact. Then during the next 10-15 minutes, students will apply it in a “mini-lab.” This is repeated throughout the class, Sheller said. “It’s kind of like a full lab interspersed with a lecture,” Sheller said. As far as offering new programs, Sheller has proposed one program with four emphases, though he is awaiting approval on two of the emphases. The two current programs are a B.S. in engineering with emphasis on management and B.S. in engineering with emphasis on robotics. “There’s lots and lots of courses being developed right now,” Sheller said. The biomedical engineering curriculum will offer new classes such as advanced biomedical and devices and an introduction to biomechanics.